Nothing beats the heat like a good iced coffee. Except when that iced coffee gets abandoned while you do something else for a while, and then you have more like coffee-flavored water. Not so refreshing. These ice cubes solve that problem. While the coffee beans are not from this borough, I have good reason to include them on this blog. Here goes: The beans are from the Brooklyn Roasting Company on Jay Street in DUMBO. If you haven’t visited yet, I recommend it. Also, I got the idea to make coffee ice cubes from the geniuses at One Girl Cookies on Dean Street. Since the beans were roasted in Brooklyn and I was inspired by a local establishment, it’s pretty much fresh from brooklyn-esque. No recipe here. 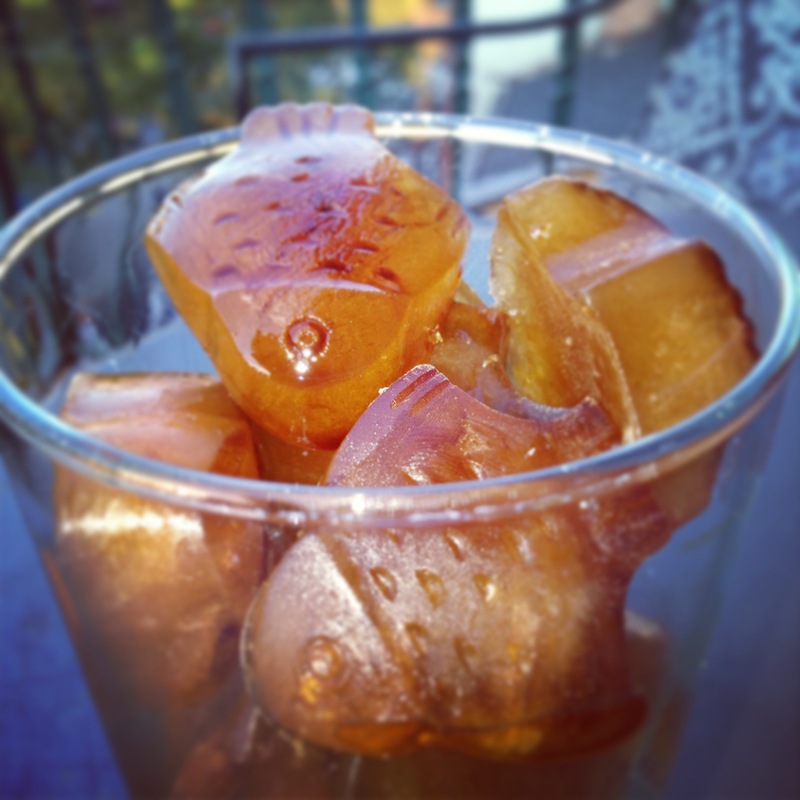 I just used some leftover coffee and poured it into adorable fish ice cube trays (regular ice cube trays will work, but are far less fun). They were ready a few hours later. The next day I did it again, and now I have a bunch of coffee ice cubes that will last a while! I first came across this genius idea in Byron Bay, Australia, where they kindly kept the ‘cold’ in my cold drip using coffee ice blocks. Genius.